The conversations are as supple and melodic as the solos he plays. Guitarist Shane Theriot has a new podcast series, The Riff Raff (Music, stories and insights from the front line) and it's so easy to get lost in it that you almost feel as if you've wandered into the room where he and his musical guests talk music, play music and live music. "I think I may have been a little bit inspired by Milt Hinton," he says in his laid back, New Orleans tinged voice. Hinton of course was the Dean of jazz bass players but also became a preeminent jazz photographer, documenting his life on the road and with all the other legends. "I mean, believe me I can't compare myself to him," Theriot laughs sheepishly. "But just that idea of creating a kind of scrapbook of history has always really appealed to me. He did it with pictures, and my goal is to do it with conversations." The actual idea for the podcast series may have been born 14 years ago when Theriot was working on a book. "I was writing an instructional book on New Orleans Funk guitar and I wanted to intersperse some history throughout. Well at that time I was on tour with the Neville Brothers and Dr. John and we would just sit in hotel rooms and I would record the conversations and they would tell me these incredible stories about all of these players from New Orleans that had been lost to history. Back then I started thinking that it would be so cool to do something with all this information and make it available for people." Debuting the series this past spring, Theriot right away found an audience that seemed to appreciate the looseness and warmth of both the conversations and the musical interplay that takes place between he and his guests. The discussions easily wander from touring to personal experiences to even a bit of shoptalk. And giving the listener a fly on the wall experience is important to Theriot. "I want people to create their own picture in their mind about where we are and what it looks like and feels like. Then they can place himself in that environment and it's like being a private audience. That's my goal, to create this intimacy where the listener feels as if they've wandered into something special." Theriot's natural gift for interviewing is on full display throughout each of the first six episodes that are currently available for download. Speaking with such artists as the Meters' George Porter Jr. and jazz guitar legend John Scofield, the listener comes away with terrific stories and unique musical interludes that feel organic and unscripted because that is exactly what they are. "These are like little sonic snapshots of me playing guitar with some friends and that's exactly how I want it to be," says Theriot. A session player and sideman who made a name for himself in his hometown of New Orleans playing and touring with everyone from the Neville Brothers, Boz Scaggs and Brandford Marsalis, Theriot worked with John Oates on a solo record in 2013 and soon after started working on Daryl Hall's acclaimed television show, Live from Daryl's House. 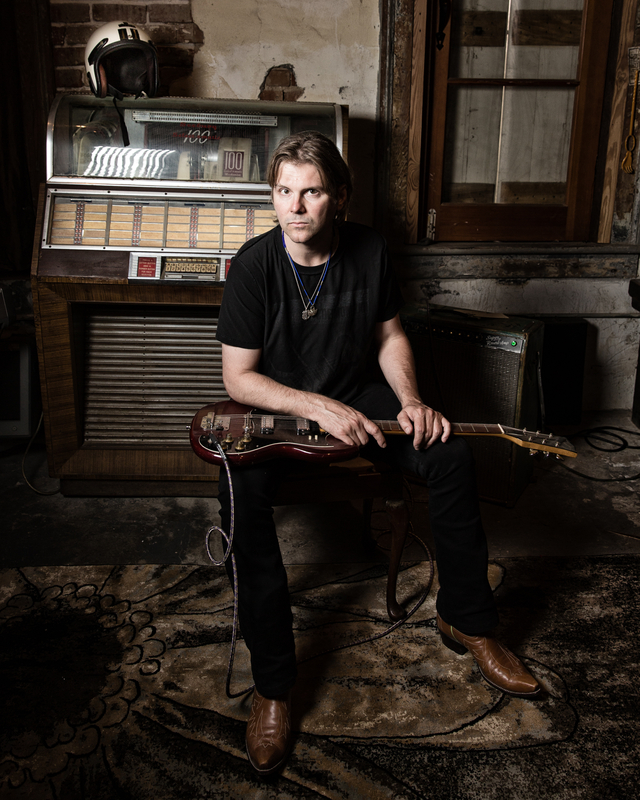 Starting in February 2014, Theriot became the lead guitarist in the Daryl Hall and John Oates band and today is kept busy as the musical director for both the band and the TV show. "It's really fun and also gets kind of crazy," he says, "working out all the arrangements, and of course on Daryl's show helping to select all of the artists, the song selection and everything else." He also has a number of solo albums under his belt and last year won a Grammy award for producing the "The Legacy" by Jo-El Sonnier. And he loves the access his current gigs provide. "Working with Daryl and John exposes me to a lot of amazing musicians and so at some point I'd love to have some of them on my podcasts. John was actually my first guest and he set the tone for the whole thing. His storytelling and guitar playing are just so special that it made for the perfect first episode. I knew after that exactly how I wanted this all to feel." Currently he's in the middle of a Hall & Oates tour that will take him through most of the year, and in between all of his many projects he'll also find time for his new labor of love, a special podcast it isn't just entertaining and informative but someday will no doubt comprise an important part of musical oral histories. "I just love it so much," he says. "The whole process of recording and editing this little show is something special because I can make it whatever I want it to be. I love that feeling of making something from scratch and inviting people into that world." One listen and I'm sure you'll agree. What a marvelous world it is.